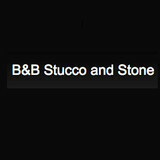 We are a team of masterful experts who specializes in stucco and stone application and combinations. From patios to fireplaces, home exteriors to outdoor fountains, our more than 20 years of experience makes us the experts in customization of stucco and stone. Our goal is to make your dreams a reality and to bring timeless compliments to your home. Whether you're in the pre-construction stages, adding on to your current house, thinking of a makeover or wanting to create an amazing outdoor space, we combine the tools, the knowledge and the experience to provide you with guaranteed beautiful professional results. We can apply stucco or stone over most existing surfaces. We also handle any type of masonry from footings to finished walls to retaining walls and anything in between. Our long, ever-growing list of satisfied customers as well as our portfolio speak for themselves. Since 1922, Pine Hall Brick has been a family owned business, as dependable and durable as its products, which have been used to build the homes, schools and public plazas where generations of Americans live, work and play. Made from clay and water—the most abundant building materials on the planet—and made to last and maintain their rich, deep color for centuries, Pine Hall Brick products are the definition of sustainability. Pine Hall Brick is "Earth friendly, naturally green®." Contact Us for a FREE Design Guide to help with all your material and color choices on your next project! 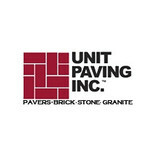 When you want the best, Unit Paving delivers with exceptional quality & craftsmanship that lasts a lifetime. You’ll never find us rushing a job or using inferior materials. Quality of installation is what ultimately determines how well your driveway or patio will look and perform years from now. We see it time and again, homeowners being lured by to good to be true pricing and guarantees from companies that are here today and gone tomorrow. You can rest knowing that should you ever need anything, we are simply a phone call away. We are a stone masonry and hardscape builder. We design and install patios, walks, retaining walls, fire pits & driveways to name a few. No project is to small. We've been serving the Charlotte metro and surrounding areas for over 24 years! We are experienced in all areas of landscaping, mason work, and hardscape feature installation and maintenance! No matter whether you choose to use brick, stone, concrete, or pavers in your hardscape projects, we can help you design the ideal living area for your indoor and outdoor spaces. Let us build your outdoor dream! We are a local family-owned business specializing in masonry, hardscapes, and outdoor living. We are fully insured and take great pride in our work. Check out our Facebook page and reviews @ Classic Rock Masonry LLC. M & C Landscaping, Inc.
Congratulations! You’ve found the most respected, trusted, and honest landscaping company in the Lake Norman area. There is a reason that other landscapers refer us to their friends and family when they’ve been asked to do a job that is too big, too complex, or just too work-intensive for their schedule. We are Charlotte North Carolina’s first choice for quality landscape design, installation and maintenance and we’d be honored to be your first choice too. Making your vision become a reality starts with these three simple steps. First, we’ll schedule an initial consultation time where we meet with you in person to take a walk through your yard. We’ll get to know you and your family and understand what your definition of success looks like. Then, we’ll create a custom quote for your project that will include all the elements you defined as important with some of our experience sprinkled in to help save you time and headache later (example: we may recommend certain plants or pavers based on your yard’s unique soil, elevation and sunlight setup as well as the overall look of the finished design.) And finally, you’ll sign off on our design and timeline, submit your down-payment, and we’ll schedule your project on the calendar. M&C Landscaping is a locally-owned, family-operated landscape design, installation and maintenance company based in Charlotte, NC. Maynor and Corina Rivas, the husband and wife team behind M&C, are passionate outdoor enthusiasts. They have been helping Charlotte and Lake Norman area residents realize their dream of creating a peaceful, beautiful, and inspiring backyard oasis since 2007. Very diverse in construction skills but my one aim is high quality work. Classic Stone Creations manufactures and installs a wide variety of architectural cast stone products. Our goal is to replicate hand carved or quarried stone at a much lower price. We are truly a custom manufacturer and work with homeowners, designers, architects and builders on a wide range of custom projects. Our materials are typically used for fireplace surrounds, range hoods, window and door surrounds, front entries, window sills, wall and pier caps, columns and balustrade. 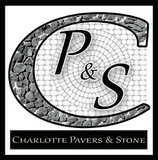 Concrete contracting in the Charlotte, NC and Charleston, SC areas. My name is Jarrod Lee Jones. I am the sole owner of Medusa Concrete. We understand that hiring the correct contractor is a big decision and we do not take for granted the trust that people put into us as a company. Therefore I am on the job site 100% of the time and am involved directly with the work being done at your home. When you are ready for an estimate please give me a call. I will meet you on a Saturday to discuss your project. For 20 Years CONCEPTS has been serving the Carolina’s and surrounding areas by creating fascinating and unique spaces and structures. At CONCEPTS we pride ourselves in working with the customers to create a beautiful space with a design and materials that accommodate to the customers budget and vision of their space. THE PROCESS: This process begins by an initial consultation with the customers assigned project manager. In this consultation he will listen to the needs and ideas the customer has for their space. Based on the customers need they will brainstorm together disscussing budgets, the best material for the property and the best lay out. Here CONCEPTS will apply their experience to design a beautiful, relaxing and functional area. Once our project managers have an idea of what the home owner wants they can begin the design process. during the design process the project manager will keep in mind the dimmensions of the space he collected during his visit to give an accurate design and quote. More importantly he incorporates the customers ideas to truly create a space they will love. When the customer is satisfied and has approved the design we can move on to the fun part! Building the space. We will send one of our highly qualified teams to build our customers space led by our project manager. The project manager is there from start to finish and always remains in contact with the customer. Because we are a smaller company we have the luxury of being able to create a more personal connection with our customers. this is important to us because we as a company are aware that when you send numerous people to one job, the goal and message can get a little blurry. Our main goal is to achieve customer satisfaction and we never leave with ought 100% satisfaction from our customer. Thank you for choosing concepts as partners for your next outdoor project! Feel free to E-mail, call or visit! Set in Stone originated as a family owned and operated business from Long Island New York. We have now been serving the Charlotte and Lake Norman area since the new millennium. 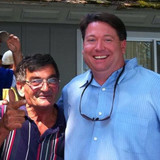 Rob Kirsch is a proud owner that always provided customer satisfaction. He has built the company on a strong work principle. You will deal directly with the owner at all times, from your initial phone call to set up your free estimate to the completion of your job. At the time of your estimate you will meet with the owner who now has 20 years of experience in the Masonry trade to discuss your specific needs and details of your project. He will also be the one that arrives at your home or business with his crew to complete the project for you. Rob takes pride in all his work projects, and is constantly told by customers that his work exceeds his customer’s expectations. We are here to work with you hand-in-hand to design a project that best suites your needs and budget. For the most part, people hire a stone or concrete contractor for large installations like driveways and walkways, or for home facades and exterior columns. These brick, pavers or stonework installations can add lots of functionality and visual curb appeal to your North Carolina home. Pavers come in a wide variety of colors, shapes and sizes, and the right vendor or specialist can help you choose a color and design that complements your existing landscaping. From installing new exterior columns to repairing your chimney, masonry contractors can help you add both visual appeal and value to your property. They’ll know what kind of installation makes the most sense for your Denver, NC climate and regional style. Looking for something that will develop a patina with time? Or would you rather have your home feel brand new for years to come? Choosing the right kind of stone involves thinking about the future, too. Experienced brick suppliers and stone suppliers can help you find the material that will work for your home now and for years to come. These professionals aren’t limited to exterior work either. Whether you want a split-stone granite wall in the kitchen or need help installing traditional brick masonry on your fireplace facade, you’ll want a professional to get it right. If you’re already working with an architect or designer, he or she may be able to suggest a good Denver, NC subcontractor to help out. Here are some related professionals and vendors to complement the work of stone, pavers & concrete: Landscape Architects & Landscape Designers, Architects & Building Designers, Garden & Landscape Supplies, Driveways & Paving, Siding & Exteriors. Find stone, paver and concrete professionals on Houzz. Search the Houzz Professionals section for Denver, NC stone, paver and concrete professionals. Browse photos and read reviews, and contact a pro if you like their work.